I will be travelling to Germany for a study tour with the Institute of Brewing and Distilling in May. As a life long fan of cold, fizzy, sulphurous and quite possibly diabolically inspired lager I'm particularly looking forward to this one. To help me maximise my Continuing Professional Development whilst I'm out there can anyone more experienced in the ways of Luciferian libations give me recommendations for beers to drink and places to go to in Munich, Regensburg and Bamburg? Though there will no doubt be a packed schedule on the tour there should be some free time for further study in the evenings. Industrial lager may be in decline, but a lot of it is still sold. 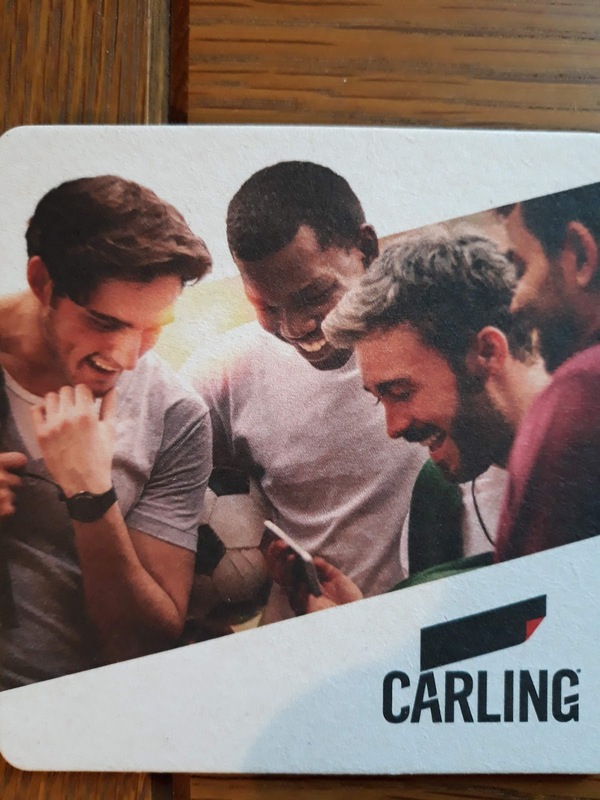 So it was interesting to see Roger Putman give some details in the IBD magazine of how Carling, Britain's best selling draught beer, is made. He starts by informing us that raw barley is hammer milled into the grist case with the malt. For those not familiar with hammer milling it means grinding the grains to a powder which helps to get the very high rates of extraction of fermentable materials found in mash filters. Very high maltose syrup is used in the kettle to give 20% of the grist. For those not familiar with high gravity brewing very high maltose syrup is important because it reduces the amount of esters produced during fermentation, something which high gravity brewing raises. The beer has a dimethyl sulphide specification of 50ppb, giving it a characteristic taste. The Original Gravity is 1.068 and the yeast is pitched at 14°C and allowed to free rise to 15°C where it is held until half gravity when it is allowed to free rise up to 20°C. Higher temperatures also increase ester production so the lower initial temperature helps restrict it. Green beer conditioning is carried out in the Fermenting Vessels until the diacetyl level is in spec. [not stated, but I guess it's something like less than 30ppb]. The beer is then crash cooled into "maturation" tank at -1.5°C to hasten formation of haze forming protein-polyphenol complexes so that only 24 hours storage is necessary before filtration, dilution and carbonation. It's not in the article but I did hear Carling is fermented to 8% ABV, which would give the base beer a Final Gravity of around 1.007. We do know for certain though that it's cut to 3.7% ABV at packaging. High Gravity Brewing is really something I should get round to doing a post about, but basically it's making more efficient use of brewing vessels by brewing beer to a higher strength that it's sold at and diluting it with De-Aerated Liquor (water with a very low oxygen content to prevent stale flavours developing) prior to packaging. It's not to be confused with liquoring back which is the process brewers use to hit target Original Gravity in which wort (unfermented beer) is produced slightly stronger than required and then cut (diluted) to the required strength prior to fermentation. A few more details would be nice, and it might take a few goes to get it right, but if you're interested in making a beer that sells over 3 million hectolitres (528 million pints) a year I think that's a good starting point. Though I must admit to feeling irrational sadness that ownership of Fuller's Brewery has changed from one group of capitalists to another, a local paper did point out something that can make my heart swell with irrational local pride: Asahi's European headquarters is in Woking. They're based in one of the old SAB Miller buildings, so it sounds like Fuller's will be run from my home town. The article then goes on to say that Asahi is now the third largest brewer in Europe, which looks like it's overstating the case to me. But I could be wrong, brewery and brand ownership is hard to keep up with.